At the moment, the USB-C audio application case isn’t being implemented consistently across all mobile devices that rely solely on that connection form. There are two operating modes – a “passive” accessory mode which creates inbound and outbound analogue audio paths as if it is a 3.5mm audio jack, and an “active” mode which uses USB Audio device classes and outboard digital-analogue audio circuitry to create the sound to be heard via the accessory. The former passive setup is primarily exploited by USB-C jack adaptors and basic headset implementations, especially “earbud-style” headsets. Here, the host device which is typically the smartphone or tablet would use an onboard audio chipset to convert the sound between an analogue and digital representation. If there is some form of remote control, a basic implementation may be in the form of a single button that starts and stops media or answers and ends calls. On the other hand, if the USB Human Interface Device specifications are implemented properly in mobile operating systems, it may allow for a device to support advanced multifunction remote control. At the moment, it may be a case of trial-and-error to find out if a USB-C Audio passive-mode headset or adaptor will work across USB-C-equipped regular computers. So for, to my knowledge, recent iterations of the Apple MacBook lineup of laptops that use this connection will provide some support for this setup. The latter active setup would be targeted at premium or audiophile applications such as highly-strung USB digital-analogue adaptors, noise-cancelling headsets or headsets with highly-strung digital-analogue circuitry. In some cases, this setup may also support accessory devices that implement multiple-microphone arrays. It may also apply to wired setups involving home or car audio equipment. In this case, one would be thinking of this kind of equipment providing digital-analogue interface, power to the host device and remote-control / accessory-display abilities. Here, they have to fully implement the USB Audio Device Class 3 peripheral class as expected in the “textbook”. As well, iOS and Android need to provide a native class driver for this device class and implement its code as expected for a mobile device which will do communications and / or multimedia. This would mean that microphones have to be used as an audio endpoint for communications purposes including regular telephony as well as for multimedia purposes. It may be a non-issue with regular computers running the Windows or MacOS desktop operating systems where it is easier for the operating system or application software to “purpose” an audio endpoint. USB Audio Device Class 3 provides inherent support for audio-processing so accessory manufacturers don’t need to reinvent the wheel by creating their own software to implement any sort of sound processing. As well, Android and iOS need to support the inclusion of audio-processing logic in the inbound or outbound audio-signal paths in a purpose-specific manner. There will be power and connectivity issues raised for both implementations of the USB-C Audio application. Active devices will need to draw power from the host unless they have their own battery. But with proper implementation of USB-C Power Delivery, it could allow a USB-C Audio accessory with a very high capacity battery to provide power to the host smartphone. The passive setup wouldn’t work properly with USB-C hubs or devices that have this function unless it is assured that the hub will assure a proper clean electrical connection between the host and the accessory. Another issue yet to be raised is implementation of USB Human-Interface-Device Classes and Usage Tables when it comes to using a USB-C accessory as a control surface for the host. The key issue here is whether there is proper operating-system support especially in the mobile operating systems. In the same context, there will be a market requirement for the accessory device to be able to view host-device-held lists like call lists, message lists and track lists. The functions considered relevant to this usage case would be sound volume and transport control (play / pause / next track / previous track / etc) for multimedia; and caller volume, microphone mute and call control for communications. Accessory-based display would also need to be factored in with USB-C audio adaptors and in-line remote-control modules which implement an LCD or OLED display. There may be use cases where multiple remote control devices are used in the same setup, typically to offer complementary functionality. Examples of this may include a USB headset with elementary remote-control for volume and a single-button control for multimedia “start-stop” or call “answer-end” functionality; along with a display-equipped inline remote control which allows for track navigation or advanced call-control. There will also be an issue regarding use of the USB-C cable as an aerial (antenna) for broadcast-radio reception whether the tuner is built in to the smartphone or the accessory. It is because of a long-standing design factor for Walkman-type radios with separate headphones where the headphone cord served as the radio’s aerial. Similarly single-piece headphone-based personal radios implemented the headband as their aerial. It also extends to the ability for mobile operating systems to control broadcast-radio tuners integrated within smartphones or accessories to the fullest extent possible. This would include preset-station management, “follow-this-station” operation for stations appearing at other broadcast locations, graphical identifiers amongst other things. If the smartphone and audio-accessory industry wants us to think of using the USB-C connector as the point to connect all peripherals, they need iOS and Android to have full native USB Audio Device Class 3 support including support for advanced-audio modes. As well, the operating systems need to have USB Human Interface Device class support for remote-control and accessory display abilities. Similarly, there would have to be proper support for broadcast-radio operation with USB-C-based mobile-device setups. Midget stereo amplifiers–could they be today’s equivalent of those early low-power “general-purpose” amplifiers? There has been a consistent range of affordable stereo amplifiers and receivers offered from the 1960s onwards that weren’t about high output levels or audiophile-level sound output quality. Here, they were about playing music from what was fed through them and yielding a decent-enough sound through a set of modestly-priced speakers. Typically they were sold as something to have as the heart of your first multi-piece hi-fi system whether the system was with source equipment and speakers that you chose or as part of an affordable stereo-system package offered by the manufacturer. In some cases, the circuitry in some of these amplifiers has been integrated in one or more of the premium single-piece or three-piece stereo systems offered by that manufacturer. Examples of these ranged from the Australian-built valve-based Cosmos stereo integrated amplifier that was sold through the Encel hi-fi store during the late 60s and early 70s, through affordably-priced Realistic stereo receivers sold by Tandy / Radio Shack through the 70s and 80s to the “micro” component systems that most of the Japanese hi-fi names launched through the early 1980s. This class of amplifier or receiver also represented the equipment that was offered at the lower end of a manufacturer’s product range. In a lot of cases, these amplifiers and receivers were typically used as the heart of an elementary stereo system like one’s first hi-fi setup or a secondary hi-fi setup. Then the user’s needs would change towards using a better amplifier and these amplifiers ended up being used with a pair of cheap speakers to amplify sounds like game sound effects from a multimedia-capable computer. But lately this practice has shown up again with the likes of Lepai, Topping and others who implement very small stereo integrated amplifiers that work effectively on a single chipset for both channels. Some of these amplifiers may have extra functionality like a phono stage, a digital-analogue converter, or a USB or Bluetooth interface as part of that same chipset or as another chipset that presents a line-level signal. But typically they are sold through different online stores as well as some specialist electronics outlets or hi-fi stores. Here, these amplifiers are based on a TriPath “Class T” circuit design or a similar design which is based on the Class D switch-mode amplification approach that has allowed for highly-compact audio amplifiers. 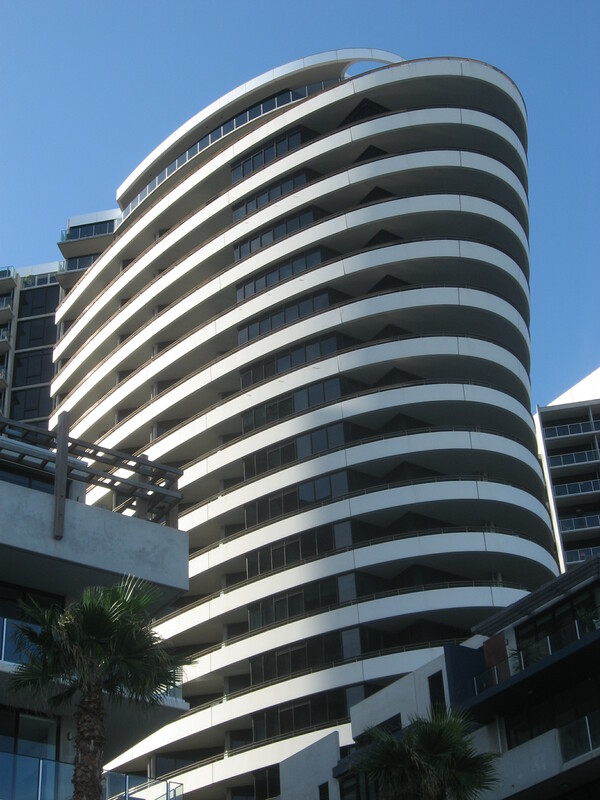 That is due to the ability to work with low current demands as well as not yielding excess waste heat. Why are these amplifiers showing up again? 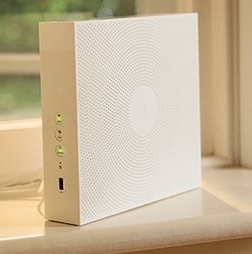 Here, the low power output and the small circuit size has allowed for a very small footprint and one could easily connect them to low-powered speakers of which many are in circulation. One of the reasons this has This is brought about through affordable three-piece stereo systems that had given up the ghost and the speakers associated with these systems are seen as of value with a low-power amplifier. There is also the fact that most, if not all, of the stereo speakers made before the 1970s were engineered for amplifiers which had low power outputs thanks to valve (tube) or early solid-state circuit designs that couldn’t achieve high output power. In this situation, these speakers including the floor-standing types were designed for maximum efficiency and an ideal tonal response while better amplifiers were designed for improved sound clarity. A common application that these midget amplifiers are being put towards is to become an audio amplifier for your computer’s sound infrastructure. This is seen as being better than a lot of budget-priced active speakers pitched towards computer users which aren’t seen as offering high-quality sound. Personally I would still value a stereo system based around these amplifiers as another direction towards a cost-effective music system where you don’t want memories of the gaudy 90s. A reality that can easily surface with Bluetooth headsets like the Apple AirPods range or the JBL E45BT that I just reviewed is that you may want to use them wirelessly with any audio device. An example of this would include using a Bluetooth noise-cancelling headset like the Plantronics BackBeat Pro with the in-flight entertainment system during your flight but without dealing with headset cables that become tangled with your seat’s lift-up armrest or your seatbelt. Or you work out at a fitness centre that uses an audio-distribution setup to pass TV sound or a workout-music mix to headphone jacks installed in the treadmills and similar machines so you can hear this sound through a pair of connected headphones. Here, you may want to use the Apple AirPods or your favourite lightweight Bluetooth headset to hear the TV audio or workout-music mix without ruining your headphones due to pulling on the headphone cable during that vigorous workout. Similarly, you want to watch some late-night TV but don’t want to disturb other people who are sleeping. Here, using Bluetooth headphones with your existing TV equipment may be the dream come true because you could relax as comfortably as possible without worrying about that headphone cable connected between your TV and your headphones. 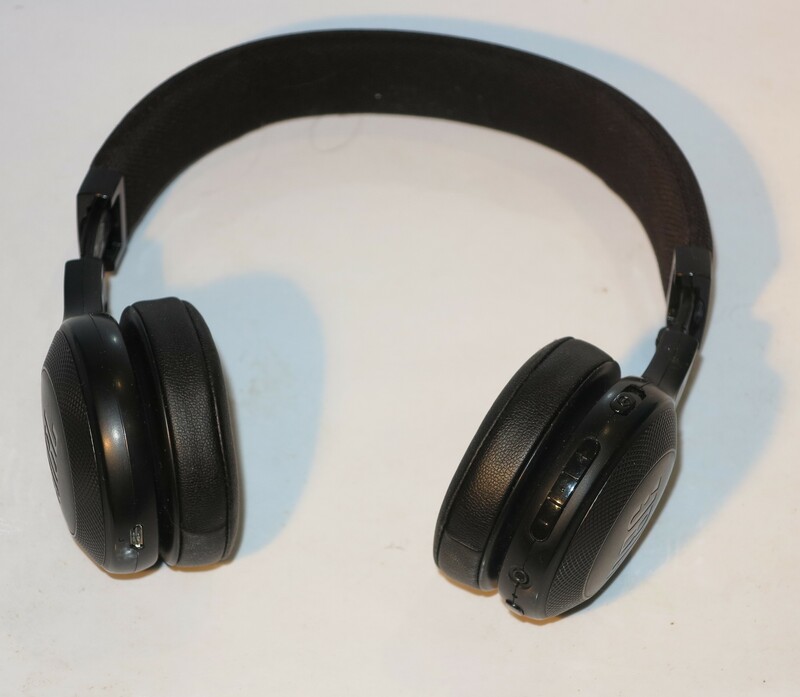 As well, you may want to use a Walkman device that plays legacy media like cassettes or CDs or a file-based audio player like an iPod to listen to music but maintain the cable-free manner associated with Bluetooth headphones. Here, Twelve South have introduced the “AirFly” which is a compact Bluetooth audio adaptor that connects to any audio source equipped with the standard 3.5mm stereo headphone jack. This battery-operated device presents itself as a Bluetooth A2DP audio source device to stream the sound from the host device to your Bluetooth headphones. The AirFly is being pitched as a companion accessory to Apple’s AirPod range of intra-aural Bluetooth headsets and is the same size as the charging case that comes with these headsets. But it can work with any Bluetooth headset or audio adaptor compliant to the Bluetooth A2DP target-device profile. 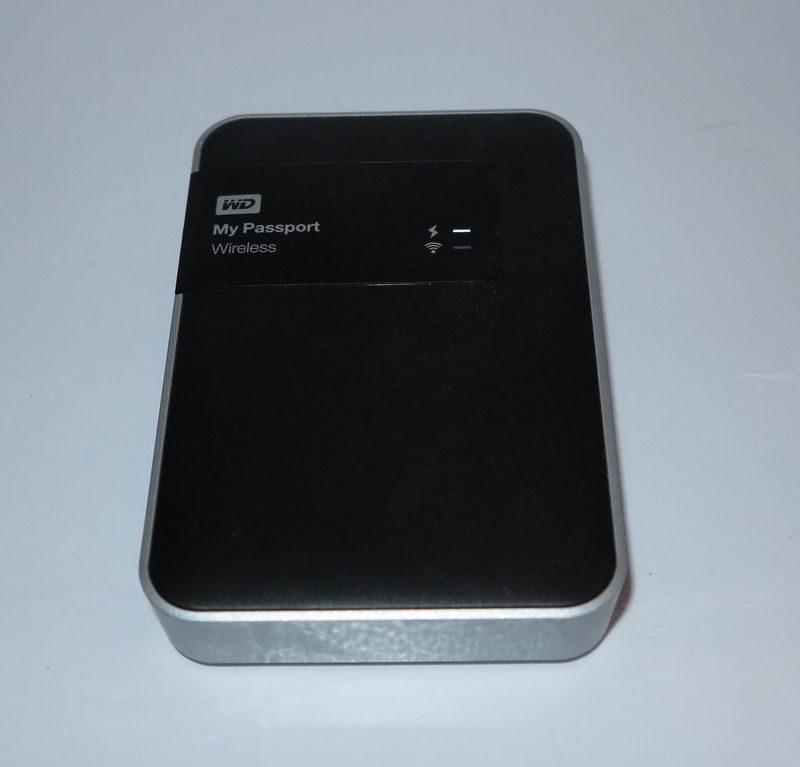 As well, this size is catering to portable applications like travel, gyms and the like. It uses an integrated rechargeable battery that is expected to run for eight hours and this was proven in the Engadget review when the reviewer used it with a pair of Apple AirPods on an eight-hour transatlantic flight. The setup process is very simple through the use of push-button pairing. Here, you just have to press the setup button on the AirFly device for 10 seconds to make it discoverable. 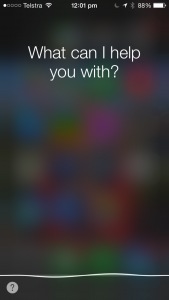 Then you put the headphones in to “pairing” mode as if to enrol them with a new device. After this procedure is complete, you are ready to connect the AirFly to the device you want to wirelessly hear through your Bluetooth headphones. The AirFly can also be part of a multipoint setup if your Bluetooth headset supports multipoint operation which most recently-issued headsets do. This will mean that you can still monitor your smartphone for calls through your Bluetooth headphones while you are, for example, watching a TV program and listening to its sound through those same headphones. A question that may come about with the AirFly Bluetooth audio adaptor is how it will perform with Walkman-type portable radios that rely on the headphone cable as their antenna when you use these radios as an audio source. Here, it may not be able to perform that antenna functionality properly thanks to the short cable that is supplied with it, therefore the Walkman-type radio may not pull in the radio stations properly. But what is being shown up here is the idea of a highly-portable Bluetooth audio-source adaptor that can stream an audio source through any Bluetooth headset or audio device. 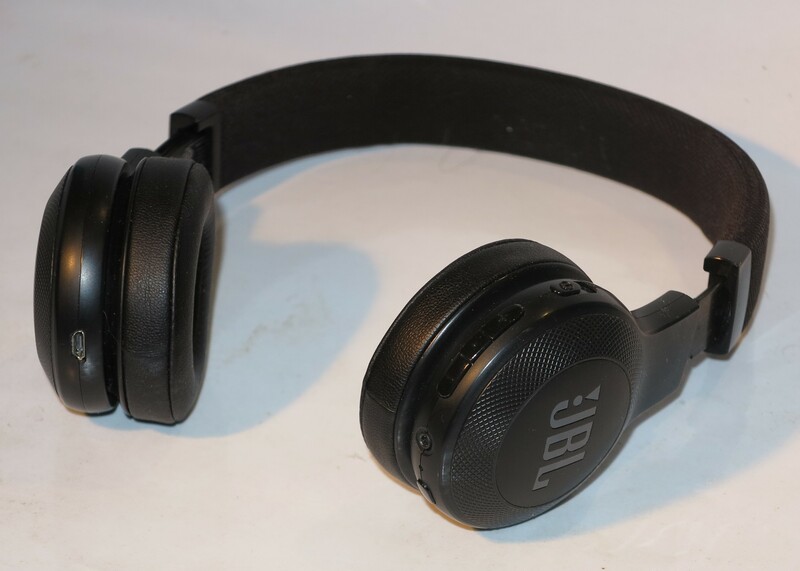 I am reviewing the JBL E45BT Bluetooth headset which is a Bluetooth-equipped follow-on for the JBL E30 headset that I previously reviewed. It is my first effort at reviewing a Bluetooth headset that JBL is positioning as one that is fit for general-purpose applications. The JBL E45BT On-Ear Bluetooth Headset is capable of being a wired headset using an included wired-headset cable that has a built-in microphone and control button. Or it can become a standalone Bluetooth wireless headset when linked to your smartphone or computer via Bluetooth. As far a storage is concerned, both of the earcups can be swiveled flat and parallel with the headband. This makes for compact storage in your briefcase, laptop bag or other personal luggage. The JBL E45BT Bluetooth headset honours the Bluetooth Hands-Free and A2DP / AVRCP application profiles thus allowing it to work as a headset for a communications device or a music-playback device compliant to these standards. The remote-control buttons for the volume and call-management functions are on the right-hand earcup, but JBL could make the middle button which serves as a play/pause or call answer/end button have a different tactile feel so it is easy to identify quickly. 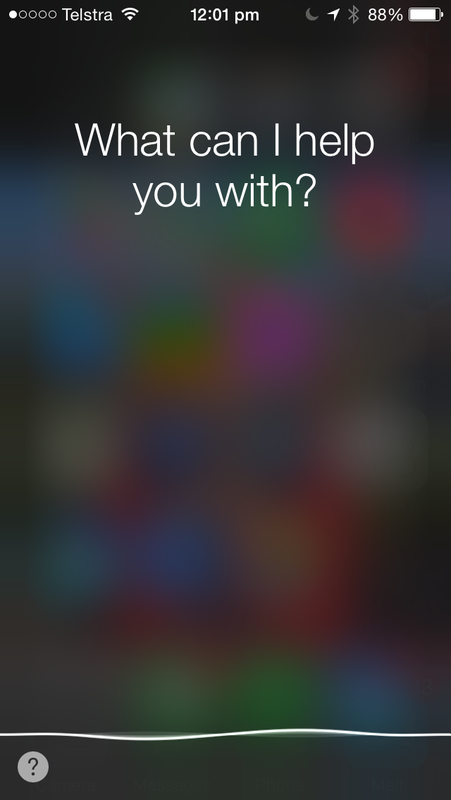 You have to hold the volume buttons down until you hear a beep to activate track-skip functionality. This control arrangement doesn’t allow you to start redialling a missed call or busy number or instigate a session with Siri or the Google Assistant using Bluetooth. But it provides what is essential to start and stop music, take calls, change tracks or adjust the sound. Users can connect the JBL E45BT to the host device in a wired manner using the supplied headset cord, something that can come in handy if the headset’s battery had died out or you have to operate your mobile device on “flight mode” where you can’t use its wireless functionality. But you can’t enable Bluetooth operation while you are using the wired connection, which puts aside the idea of connecting it to a Walkman, portable radio or iPod while having it monitor your smartphone for calls. 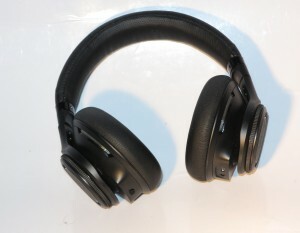 There is multipoint support so you can use one pair of these headphones with two host devices. One situation that this can cater for would be if you use two phones such as a personal phone tied with your own account and a work-supplied phone tied to your employer’s account. 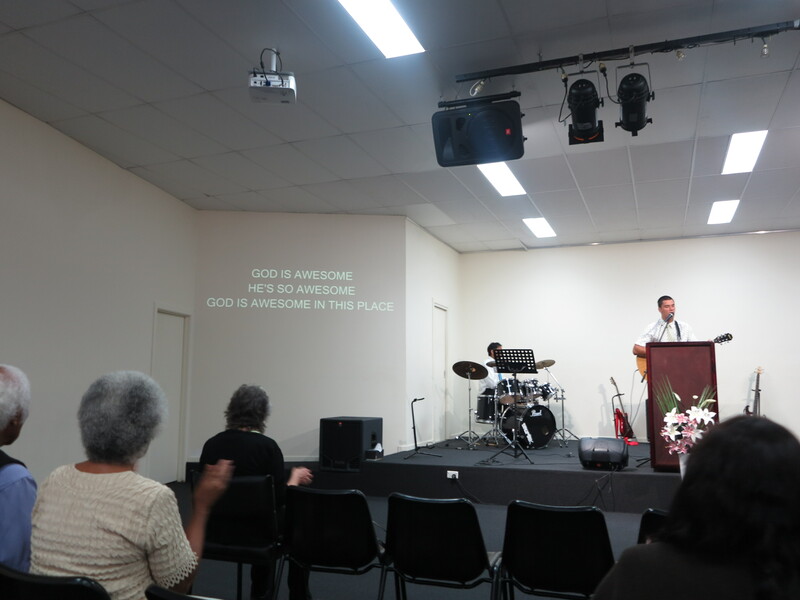 Or it could cater towards you using a smartphone and a laptop or tablet at the same time with the laptop or tablet being used with video content, music or games while you have the smartphone ready to answer calls. The setup procedure is relatively simple by you pressing the Bluetooth button on the headset’s right earcup to make it discoverable for the second source device then using the second device’s user interface to connect with the headset. In the case of a Windows-10-equipped laptop, you would use the Bluetooth menu in the Devices part of the Control Panel and click “Add A Device”. The headset will then be exclusively used by the second device. Then your press the Bluetooth button again on the headset to make the headset discoverable and reconnect the original host device to the headset using that device’s user interface. Here, you have established a simple multipoint setup where whichever source device “comes on” plays through the headset. Phone calls or communications applications on each of the host devices that use the Bluetooth Hands Free Profile will always have priority over either device’s multimedia sources. 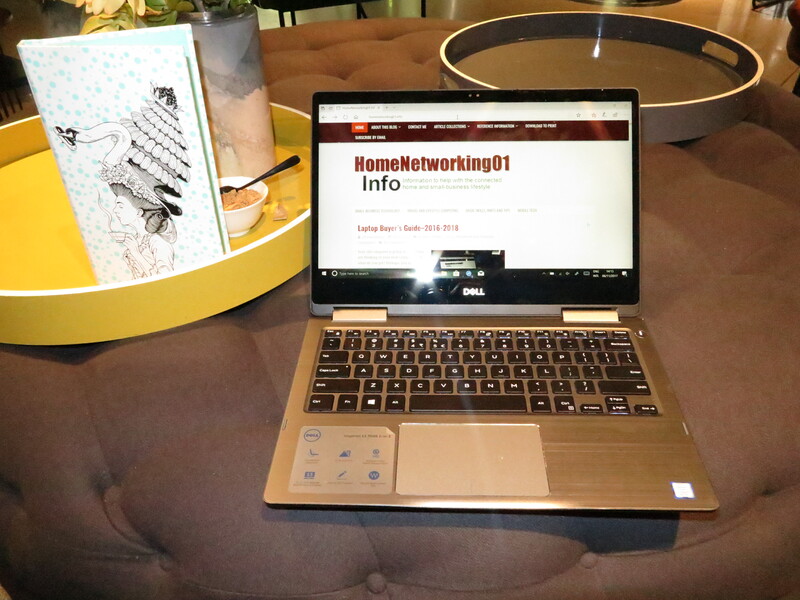 The multipoint functionality is destroyed if either device is disconnected but the JBL headset will normally re-establish this setup if you simply enable the connection again for both the same host devices. 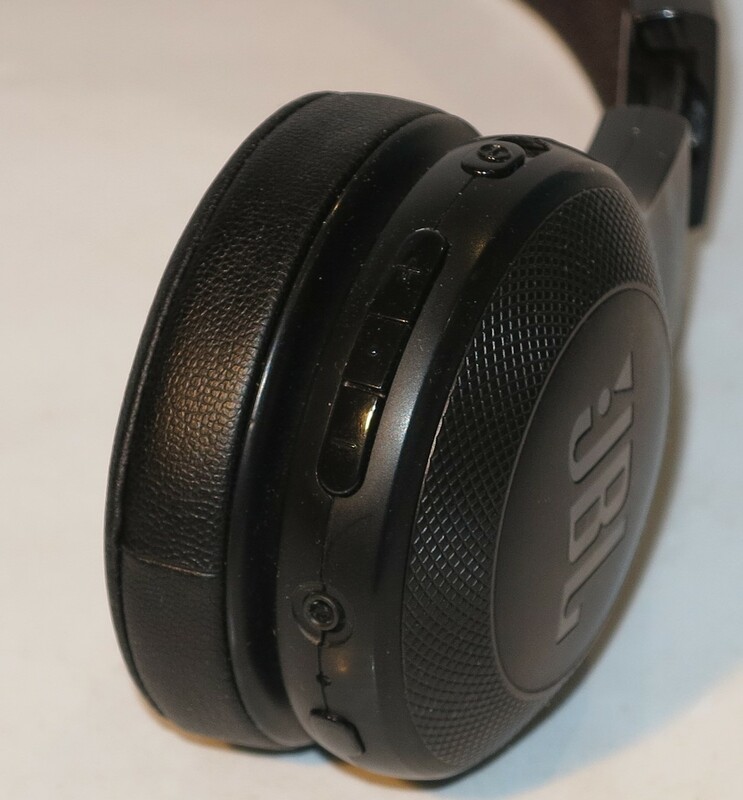 The user-comfort level for the JBL E45BT headset is very similar to most of the recent supra-aural headsets in that they don’t feel heavy or hard on your head even after a long time of use. The vinyl-covered earcups don’t even become sticky when you use this headset on a hot day. The JBL E45BT Bluetooth headset can handle strong bass response but you need to use equalisation at the source device to ramp up the bass and treble. Other than than it does well with music and similar content. As well, it conveys a sound quality that doesn’t cause listener fatigue during extended listening. I have watched a foreign-language European TV crime drama and had found that the voices come through intelligibly and clearly with the full weight. As well, the sound effects came through clearly and naturally especially with gunshot or vehicle sounds which will also matter with the games played by “core” gamers. The JBL E45BT Bluetooth headset even works well for communications applications with the ability to hear whom I talk to clearly while they can understand me. It doesn’t matter whether it is the regular mobile-telephony use or through one of the various VoIP services. As well, it can handle soft-spoken callers or those with a distinct accent as well as those who are on a difficult connection. I assess headphones also to identify how they perform in noisy environments like on a bus or in an underground train. This is to assess how they would cope when being used to provide you with entertainment while travelling on public transport or whether they can even shut out a noisy environment so you can make that videocall or listen to some music. The JBL E45BT Bluetooth headset doesn’t provide much in the way of noise reduction and you would have to make sure your program material or your phone’s call-volume setting was significantly loud if you want to have it compete in a noisy environment. This is something that would be expected for on-ear headphones. One key feature that the JBL E45BT is mission out on is the ability to support a “press-and-hold” operation for the Play/Pause/Call button. This would provide access to voice-driven operation on smartphones that run a voice-driven personal assistant, or could allow the ability to use the headset’s buttons to redial the last call you made or a call you missed. 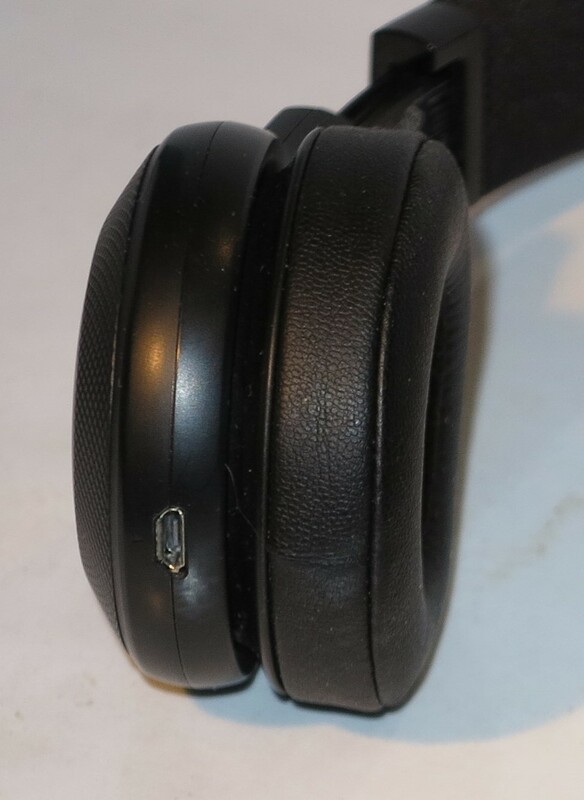 Personally, I would like to see the microUSB connection on a headset used not just for charging a Bluetooth wireless headset like the JBL E45BT. 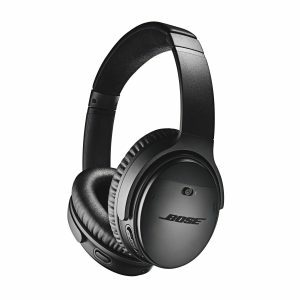 Here, I would like to see these devices implement the USB Audio Class and Human Interface Device classes so they can become a wired digital headset when connected to a host device using a USB or Apple Lightning connection. This could be seen as a way to provide high-quality digital audio from a laptop or newer smartphone especially where the 3.5mm audio jack is likely to be seen as being one the way out. As for the battery, I would personally like to see it being user-replaceable so you can keep the headset going as a Bluetooth headset for a long time rather than throwing it away if the battery starts to die out. JBL could provide support for concurrent “wired + wireless” operation so that the headset could work as a wireless headset for one device but as wired headphones for another device. A situation where this can come in handy is whenever you use a headset like this with a music player or portable radio for audio content and your smartphone for calls. 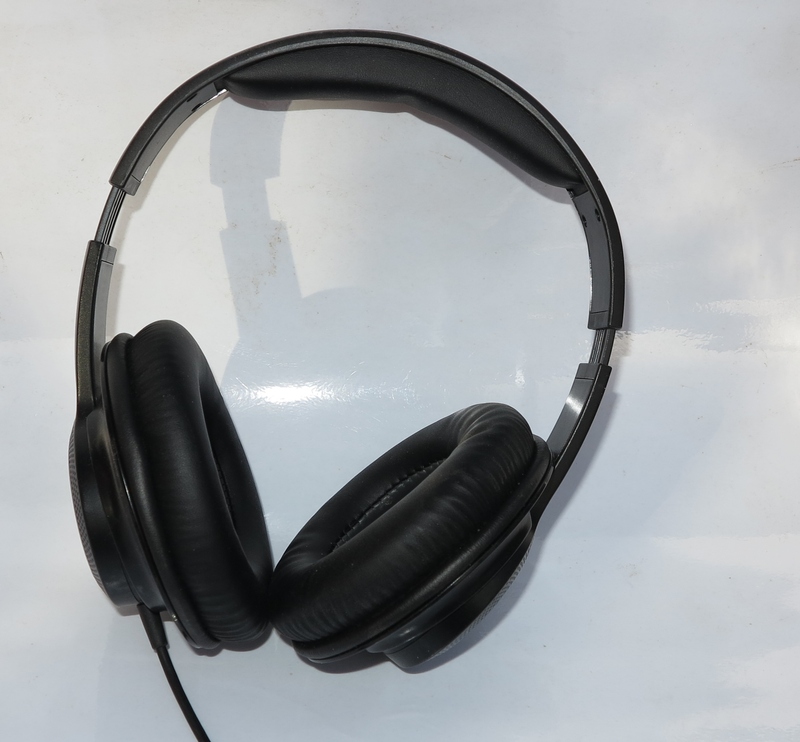 This situation is underscored especially with portable FM or DAB radios that use the headphone cable as their antenna, but is also underscored if you are using legacy media like cassettes or CDs or are using a high-capacity digital audio player for your music. Another issue still to be ironed out with the use of Bluetooth headsets is to allow you to manage calls from VoIP platform software like Facebook Messenger or Viber using the controls on these headsets. At least this should be about the call-control buttons to answer or end an incoming call, but it will be an issue that needs to be addressed by Apple and Google as part of developing their iOS and Android mobile operating systems. The JBL E45BT represents what is feasible for a good-quality baseline “over-the-ear” Bluetooth headset. Here, I would recommend this headset as something to be after if you want a general-purpose headset to work with your smartphone, tablet or laptop. Google has answered the setup method that Apple has implemented for their AirPod wireless in-ear headset by implementing a software-driven “quick-pair” setup that will be part of Android. This method, called Bluetooth Fast Pairing, works on Android handsets and other devices that run Android 6.0 Marshmallow onwards and have Google Play Services 11.7 or newer installed and support Bluetooth 4.0 Low Energy (Bluetooth Smart) connectivity. You will have to enable Bluetooth and Location functionality in your handset, but you don’t have to look at Bluetooth device lists on your smartphone for a particular device identifier to complete the setup process. It is meant to provide quick discovery of your compliant Bluetooth accessory device in order to expedite the setup process that is involved with new devices or to “repair” Bluetooth connections that have failed. This latter situation can easily occur if data in the device regarding associated Bluetooth devices becomes corrupted or their is excessive Bluetooth interference. The user experience will require you to put your accessory device like a Bluetooth headset, speakers or car stereo in to Bluetooth-setup mode. This may simply be through you holding down the “setup” or “pair” button till a LED flashes a certain way or you hear a distinct tone. On the other hand in the case of home and car audio equipment that has a display of some form, you using the “Setup Menu” to select “Bluetooth Setup” or something similar. 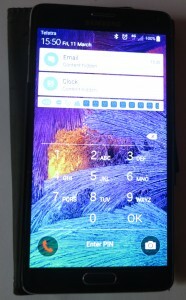 Then you receive a notification message on your Android device which refers to the device you just enabled for pairing, showing its product name and a thumbnail image of the device. Tap on this notification to continue the setup process and you may receive an invitation to download a companion app for those devices that work on the “app-cessory” model for extended functionality. Google implements this by using Bluetooth Low Energy “beacon” technology to enable the device-discovery process. This is similar to the various beacon approaches for marketing and indoor navigation that are being facilitated by Bluetooth Low Energy, but they only appear while your accessory device is in “Bluetooth setup” mode. The Google Play servers provide information about the device such as its thumbnail image, product name or link to a companion app based on a “primary-key” identifier that is part of the Bluetooth Low Energy “beacon” presented by the device. Then, once you tap the notification popup on your Android device, the pairing and establishment process takes place under Bluetooth Classic technology. I see this also as being similar to the various “Plug And Play” discovery process implemented in Microsoft Windows and Apple MacOS whenever you connect newer peripherals to your computer. This is where Microsoft and Apple keep data about various peripherals and expansion cards that are or have been on the market to facilitate installation of any necessary drivers or other software or invocation of class drivers that are part of the operating system. For Google and the Android platform, they could take this further with USB-C and USB Micro-AB OTG connectivity to implement the same kind of “plug and play” setup for peripherals connected this way to Android devices. This system could be taken further by integrating similar logic and server-hosted databases in to other operating systems for regular and mobile computer platforms to improve and expedite the setup process for Bluetooth devices where the host device supports Bluetooth Low Energy operation. Here, I would like to see it based on the same identifiers broadcast by each of the accessory devices. The Bluetooth Fast Pairing ability that Google gave to the Android platform complements NFC-based “touch and go” pairing that has been used with that platform as another method to simplify the setup process. This is more for manufacturers who don’t have enough room in their accessory device’s design to provide an NFC area for “touch-and-go” setup thanks to very small devices or where NFC doesn’t play well with the device’s aesthetics or functionality. It may be a point of confusion for device designers like Alpine with their car stereos who place their devices in “discoverable” or “pairing” mode all the time so you can commence enrolling your accessory device at your phone’s user interface. Here, the device manufacturer may have to limit its availability to certain circumstances like no devices paired or connected, or you having to select the “Bluetooth” source or “Setup” mode to invoke discoverability. At least Google have put up a way to allow quicker setup for Bluetooth accessories with their Android platform devices without the need to build the requirement in to the hardware. 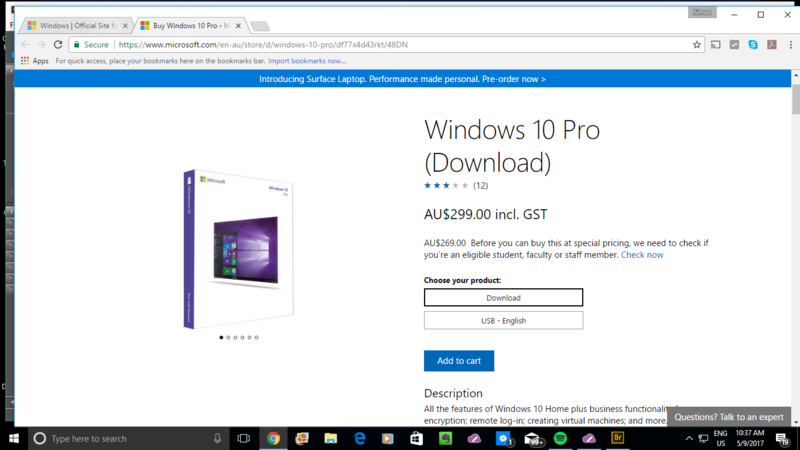 For those of you who run highly-strung USB audio hardware like pro-quality USB analogue-digital interfaces or those audiophile-grade USB digital-analogue converters, the latest version of Windows 10 offers something for you. It is to provide native driver support for USB Audio 2.0, the second version of the USB Audio device class that handles sound over the USB bus. These audio devices work independently of the USB physical connection type therefore they could work with a USB 2.0 connection, the higher-speed USB 3.0 connection or the USB-C connection. This version can handle higher-definition master-grade audio beyond the 24-bit 96kHz digital-audio specification. It also can natively handle the DSD files that started off with SACD discs and are another way of distributing high-definition master-grade audio content. This improvement to the USB Audio standard was supported natively by MacOS and Linux but wasn’t supported by Windows. Instead, people who wanted to get the most out of their USB DAC or USB audio studio hardware had to install a driver file that was supplied by the USB audio device’s manufacture, either through a CD or USB stick supplied with the device or something to download from their Website. Now if your computer is running Windows 10 Creator’s Update, it will be a simple plug-and-play install process to have Windows Media Player or Tidal coming through that USB DAC. But this is facilitated through the Windows DirectSound or WASAPI software-hardware audio paths. The drivers that will come with your device may offer a highly-strung experience such as to work via higher-performance audio APIs other than the two previously-mentioned paths. As well, they may offer a control panel that allows you to better manage how the sound is handled. Similarly, there may be other drivers that map the USB audio device’s control surface to Windows 10 in a manner more consistent with the manufacturer’s functionality expectations for that device. Examples of this may include mixing desks and DJ consoles with media transport buttons. For manufacturers who design highly-strung USB audio devices, there is less of a requirement to write up and maintain software drivers for these devices. 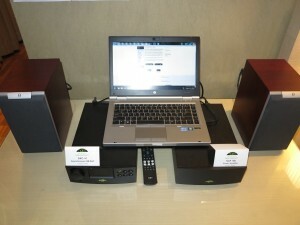 This can same them money and focus their R&D efforts on improved sound quality. Hooray! Your Windows computer now can work out of the box with that USB-connected premium audio device with the full sound-quality expectations. If you have owned a Nikon digital camera, you may have dealt with the Ultra Accessory Connector (UAC) as a method to tether your camera to your computer for, perhaps, downloading. This would typically be facilitated using a USB to UAC cable that came in the box with your camera. Apple is resurrecting this connector as part of its MFi (Made For iOS) accessories program for iOS devices. There was a lot of confusion in the computing press regarding this connector because it could be about a different socket existing on a subsequent iPhone or iPad, or devices and accessories not working unless “you get with the program” – be part of the Apple ecosystem. But the Ultra Accessory Connector is about how its use as an intermediary or accessory-side connector on a pair of headphones. It is being called on because an increasing number of newer smartphones and ultraportable laptops won’t be equipped with the traditional 3.5mm headset jack where you can connect a wired headset. There is also the same appeal where headphones will have integral digital-analogue audio circuitry and there has to he a way to connect these to your smartphone if you are going the “wired” path. It is something very familiar to those of us who use a USB headset with our computers or a Bluetooth headset or audio adaptor with our smartphones. Here, manufacturers will see better digital-analogue circuitry and / or sound-processing technology such as microphone arrays, accessory-side sound-tuning and active noise cancellation as a way to differentiate their product ranges more effectively and innovate their products. It will still be feasible to keep a level playing field for headphones that use USB or other wired digital links. The approach that is being pushed here is for a headset or pair of headphones to have the UAC connection as an accessory-side connection. Typically this will be as a “lump” on the headphone cable like what is used for remote control or a microphone, which comes apart. On the other hand, the most probable implementation for a pair of traditionally-styled “cans” would be a socket installed on one of the earcups similar to what happens for detachable-cord implementations. The headset would then be supplied with one or more application-specific connection cables that have a UAC-connector on the accessory side and the appropriate connector (Apple Lightning, USB-A, USB-C or 3.5mm phone plug) on the equipment side. There is also a goal to have such cables also available through the aftermarket thanks to accessory suppliers like Belkin. The UAC connection is meant to facilitate a digital connection that works with USB or Apple Lightning norms along with the standard stereo analogue connection. 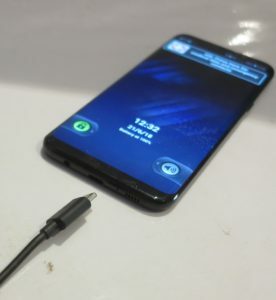 Here, it means that an accessory cable can exist which has the traditional 3.5mm phone plug on it to allow use with equipment that still maintains this connection. This includes still being able to use the 6.35mm headphone jack adaptor to connect your headpbones to hi-fi equipment or the two-pin airline adaptor to plug in to your aeroplane seat’s in-flight-entertainment connection. It also encompasses the goal with the Apple Lightning and USB-C standards to provide analogue pass-through from equipment-side digital-analogue circuitry to cater for the cheaper headset designs. In the digital context, this can mean that the sound processing circuitry can present itself to Apple’s iOS devices or “open-frame” USB Audio implementations properly as the equipment expects. Apple still sees this as being important because their newer MacBook laptops are being equipped just with USB-C connections and MacOS is still providing class-driver support for USB-Audio devices. But most other regular-computer and mobile operating systems are providing a similar level of support for USB Audio. But what needs to happen in both camps is for proper operating-system-level support for audio input and output in both the communications and multimedia contexts, along with accessory-side remote control for call management, media transport control and volume control at least. It may also include the ability to use a basic display on the accessory to show information like current time, incoming calls and messages and media-play details, something that can earn its keep with in-line remote-control accessories. or an extended-power module which allows you to use external battery packs to obtain long operating times out of your smartphone and advanced headset. What the UAC connector that Apple is pushing for is the ability to headset manufacturers to continue to work on feature headsets that can work across all of the computing platforms. 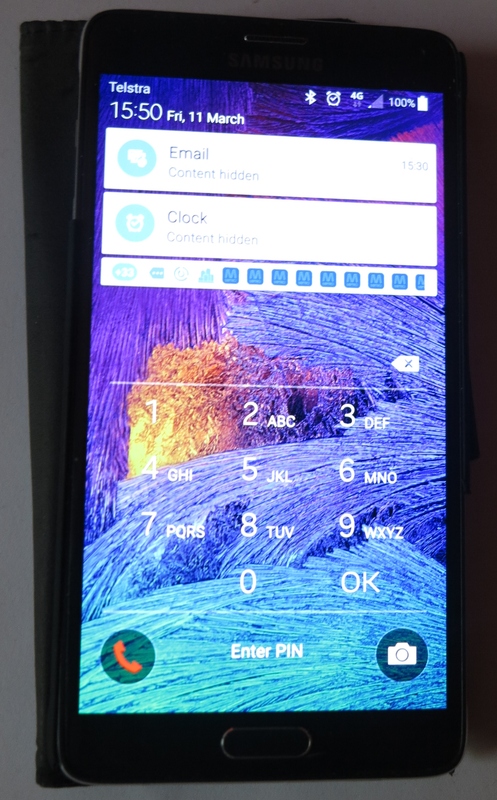 As well, I also see the UAC connector as a pathway to innovation because manufacturers will be encouraged to work on features that work across all phone platforms. This is more so as we invest in the premium headsets to go with our smartphones and computers so we can listen to music or watch those videos while we are on the train.